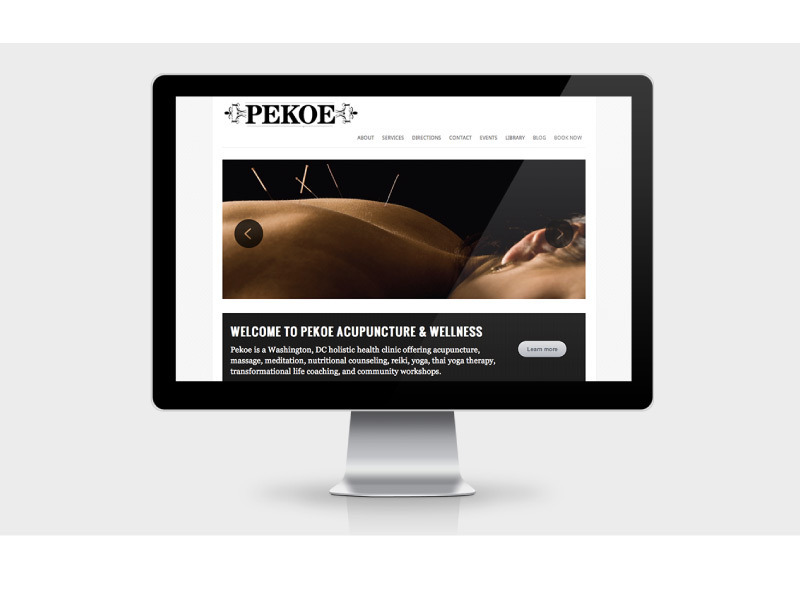 Pekoe Acupuncture & Wellness is Washington, DC's top holistic wellness center, offering services in acupuncture, yoga, massage, nutrition counseling, reiki, traditional chinese medicine and more. While the practice of eastern medicine feels unfamiliar to many in western culture, the idea of an apothecary of natural remedies for whole body health is appealing. Elleby Design Studio created their identity with a clear visual reference to vintage apothecary label design, and aided in the website design and brand-based interior design of their clinic.